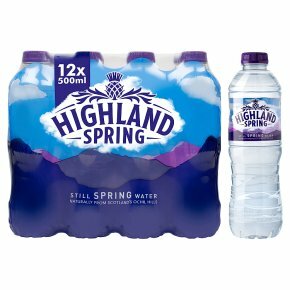 Drawn from organic land, Highland Spring is a refreshing spring water that's as pure as can be. Our still water is here to make sure you can feel good and give it your all every day of the year. It gives you all-natural hydration so you feel ready to take on the world. Our Handy Packs are available in 330ml and 500ml and in either a screw or sports cap. They're easy to carry in your handbag or pocket, and perfect for when you or the kids are on the go. From the majestic landscape of Scotland's Ochil Hills, every drop of Highland Spring is lovingly drawn from organic land. Feel refreshed with water as pure as nature intended.